Today marks the anniversary of the appointment of Michael Gove as environment secretary. Utility Week looks back at what he has achieved and how he has been received over the past year. In an era of dramatic political somersaults, few have been quite as surprising as the reinvention of Michael Gove as an eco-warrior over the past year. When he turned up at the Green Alliance summer party nearly a year ago, soon after being appointed environment secretary, Gove encountered an audience whose suspicions were motivated by his track record as a leader of the Brexit campaign. Ex-energy and climate secretary of state Sir Ed Davey had memorably just likened giving his erstwhile Cabinet colleague the environment portfolio to “putting the fox in charge of the chicken coop”. The two had clashed over Gove’s resistance, when education secretary, to include climate change science in the geography curriculum. In his first public outing with the great and good of the green world, the newly appointed Gove proclaimed his passion for the environment. He left his audience, if not wooed, at least questioning their initial assessment of him. The subsequent months have seen the former Times journalist follow up these warm words with a flurry of eco-friendly announcements. These included a proposal in last summer’s draft air pollution strategy that the sale of internal combustion engine cars and vans should be banned by 2040, which would lead to dramatic ramifications for electricity supply. 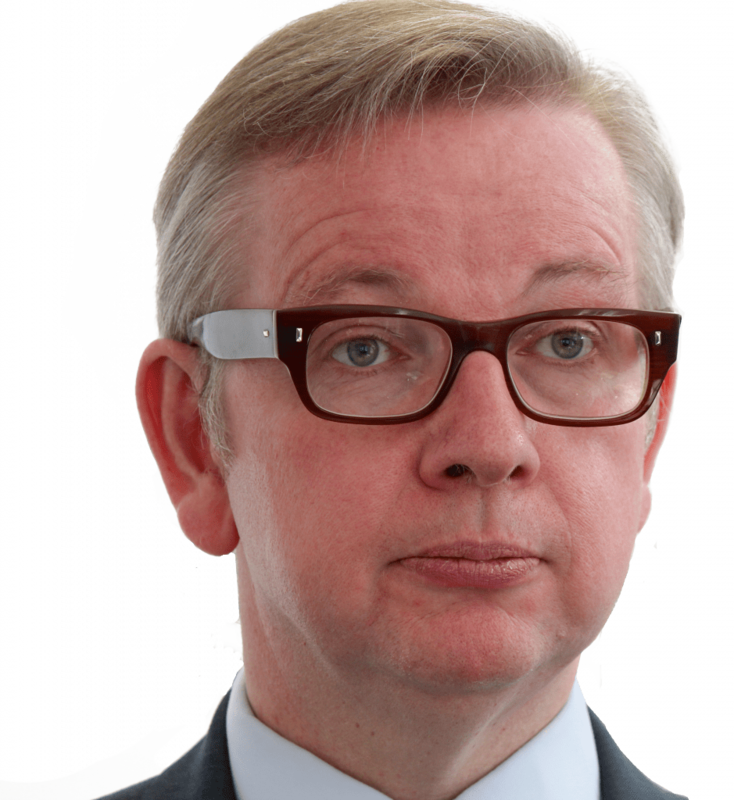 For Richard Black, director of the Energy and Climate Intelligence Unit (ECIU), Gove has been a breath of fresh air at a department which had long lacked politically heavyweight leadership. “It’s been very refreshing to see an environment secretary being very energetic and pro-active because the last few occupants of that post haven’t been,” he says. Gove, says Black, has “given voice to what a lot of Tory backbenchers been thinking for a number of years”. Of course, there is a good measure of political calculation in Gove’s hitherto unadvertised passion for environmental causes. “The Conservative leadership have become very aware that the environment is quite an important issue for young people,” says Black. A poll, carried out last year by the progressive thinktank Bright Blue, showed that climate change is ranked as the most important single issue by the 18 to 24-year olds who have deserted the party in droves since 2010. A particular worry for the Brexit champions like Gove has been that support for the UK’s withdrawal could be tarnished by concerns that it will lead to a dilution of environmental protections. “Michael Gove has played this extremely well. His objective was always to neutralise environment in the Brexit debate,” says one observer. While wooing environmentally minded voters, Gove has been taking pot shots at the water companies since the turn of the year. The regionally monopolistic nature of the household water supply market was always likely to stick in the throat of a politician who cut his ideological teeth in the late eighties heyday of Thatcherism. Andy Sawford, chair of the public affairs firm Connect that organises the All Party Parliamentary Group on Water, says: “Gove taken the same approach at Defra as when he ran the education and justice departments. “His approach to water companies is classic Gove, casting himself as the champion of consumers versus vested interests. An ex journalist, Gove knows how to grab headlines, with populist attacks on pay levels, unpaid tax and high bills. Gove has written to Ofwat chairman Johnson Cox to highlight his concerns about the use by water companies of offshore tax arrangements and executive pay. “Change is going to come”, he said this week at an event organised by the Policy Exchange thinktank, noting how water companies corporate structures are “designed to favour investors rather than citizens”. But while Gove’s statements have been music to the ears of the green lobby and water consumers, practical policy detail has been thinner on the ground. For example, progress on phasing out petrol and diesel vehicles has become entangled in intra-departmental Whitehall wrangling. “There’s no doubt that the rhetoric is a little bit more impressive than the detail,” says the ECIU’s Black. And the last few weeks have seen Gove’s green halo slip following the publication of the government’s proposals for the UK’s post-Brexit environmental safeguards regime. Green groups’ main concerns about the consultation paper issued last month centred on the powers of the new agency that is set to take over the EU’s environmental remit. These included its lack of competence on climate change and powers to sue the government if it has breached environmental standards. The threat of court proceedings by the EU has boosted the Environment Agency’s ability to take legal action over issues like punishing water companies over sewerage discharges into the River Thames. Baroness Young, a former chief executive of the, dismissed the mooted agency as a “watchpoodle” in the House of Lords last month. Shane Tomlinson, director of consultancy E3G, says that, like many other environmentalists, he is “very disappointed” about the lack of teeth currently being proposed for the new agency. And the European Commission is understood to have been less than impressed by the government’s existing package. Black confesses that he is not “too worried” about the agency’s powers, pointing out that the Committee on Climate Change already performs an effective role as statutory advisor on tackling emissions. However, the House of Lords rejected the government’s environmental protection plans in an amendment to the EU Withdrawal Bill, which the Commons will have to accept or reject tomorrow (12 June). In response, a group or around 20 Conservative backbenchers that include former London mayoral candidate Zack Goldsmith, have tabled a replacement amendment that would equip the new agency with legal enforcement powers. It also fleshes out the environmental principles that the new agency would have to abide by, such as the “polluter pays” principle. Gove appears to have been stung by the backlash against the government’s proposals. Following the furore over the new environment agency, correspondence was leaked to the Daily Telegraph newspaper showing that Gove had put up a Cabinet fight for the watchdog to have stronger powers. And this week, he told the Policy Exchange event that the government itself may respond that “the concerns that were put forward” in the Lords amendment. Tomlinson says that the ball is now in the government’s court to prove that it is not watering down of environmental protections as the UK moves from the EU’s orbit into a more deregulated global trading environment. Gove has spent the last year seeking to show that Brexit and environmental protection can be reconciled. Next week we may have a clearer idea which matters more.